Directions: The north entrance to the Jefferson Barracks State Historic Site [ Waypoint = N38 31.221 W90 16.604 ] is located near 533 Grant Road, St. Louis, Missouri 63125. Continue heading south on Broadway (Missouri Hwy 231). After about 2.1 miles, Broadway will be a left turn off of Missouri Hwy 231. 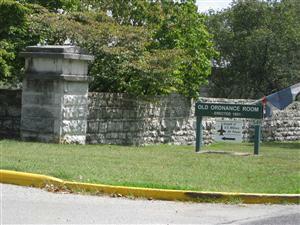 The entrance to Jefferson Barracks State Historic Site is about 0.1 miles ahead. After entering the site, the road names changes to Grant Road. 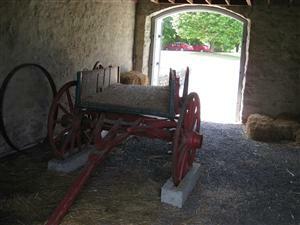 Take the second left and find a place to park in the Visitor Center's [ Waypoint = N38 31.127 W90 16.501 ] parking area. 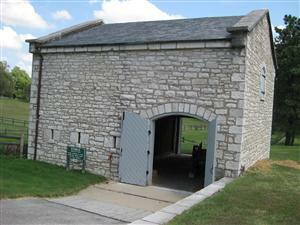 Just east of the Visitor Center is the Stable House [ Waypoint = N38 31.131 W90 16.477 ] which was built in 1851 and used to house horse and wagons used for hauling munitions from the St. Louis Arsenal to the magazines at Jefferson Barracks. Just north of the Stable House is the Laborer's House [ Waypoint = N38 31.119 W90 16.475 ] that was used by civilian workmen employed at the Ordnance Depot. 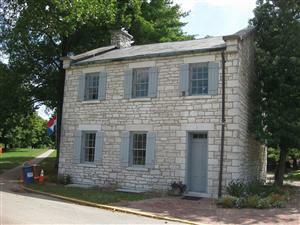 It was originally built in 1851 and restored to its current condition in 1959. 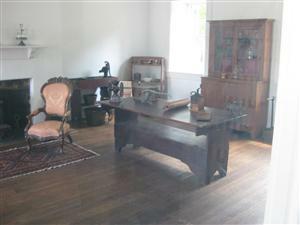 It contains articles and furnishing from the 19th century. 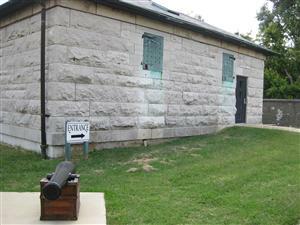 The Old Ordnance Room Museum [ Waypoint = N38 31.159 W90 16.371 ] is housed in the first powder magazine built at the Jefferson Barracks. 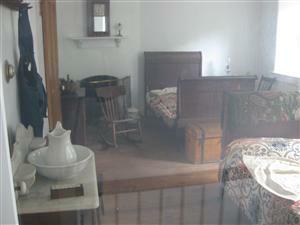 In 2011 from February 2nd through November 11th The Old Ordnance Room will be the site for the St. Louis County Parks and Recreation's program on The Civil War in Missouri. 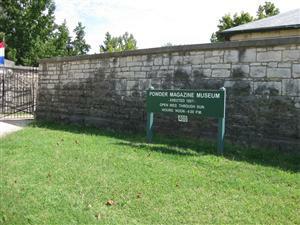 The entire history of the Jefferson Barracks from 1826 to 1946 is on display at the Powder Magazine Museum [ Waypoint = N38 30.969 W90 16.320 ]. 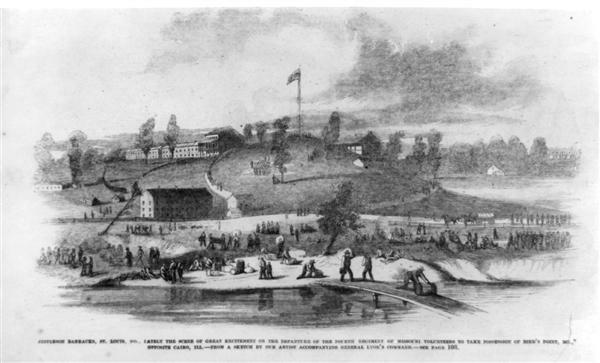 The building was originally built in 1857 and used to store rifles, cannon, powder and other munitions used by the troops stationed in the Western Departments.